Onkyo has announced the arrival of three new mid-range receivers, which support FLAC playback and are compatible with the latest range of 3D TVs. The TX-NR1008, TX-NR808, and TX-NR708 have been given the seal of approval by THX and all are compatible with DolbyTrueHD and DTS-HD Master Audio HD codecs. When it comes to extra functionality, the receivers can be networked to your home and support the following files: MP3, WMA, WMA Lossless, WAV, Ogg Vorbis, AAC, and LPCM. The receivers will also show the album artwork from your iTunes collection and you can access LastFM, vTuner, and Napster through the systems. The main difference between the three receivers is how many channels they offer. The TX-NR808 and TX-NR708 house 7.2-channels, while the TX-NR1008 packs a whopping 9.2 channels. The NR1008 also has an extra HDMI output. The TX-NR708 and TX-NR808 have a UK release date of mid-June, costing £800 and £1,000 respectively. 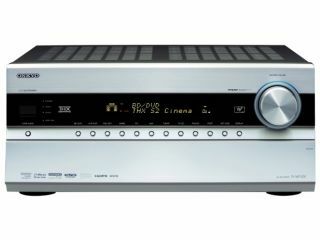 The TX-NR1008 has a UK release date of July and will set you back £1,300.